Before going further, let’s put here a list of related posts. Although not required, I encourage you to go through them all before reading the following post. OK now let’s deep dive this BCS technology. I ended up my previous post by saying that Bull’s BCS solves scale-up issues without compromising performance. Here a graph showing what that does mean. 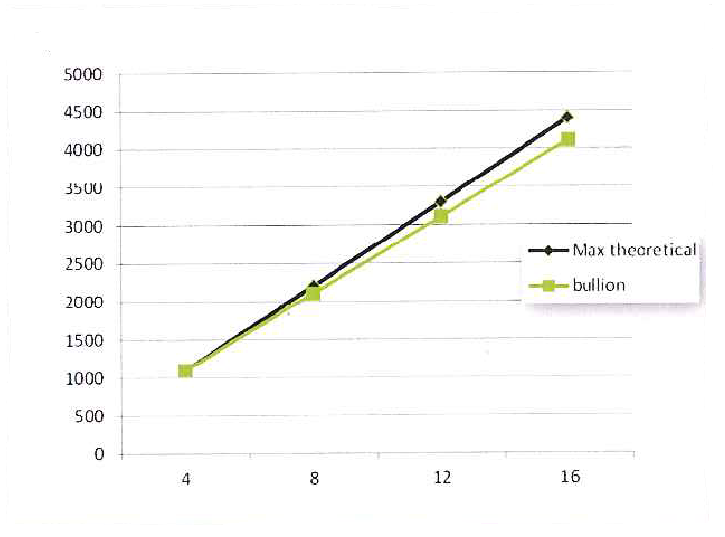 Bull’s BCS eXternal Node-Controller technology scales up almost linearly compared to the ‘glueless’ architecture. What’s the secret sauce behind this awesome technology? 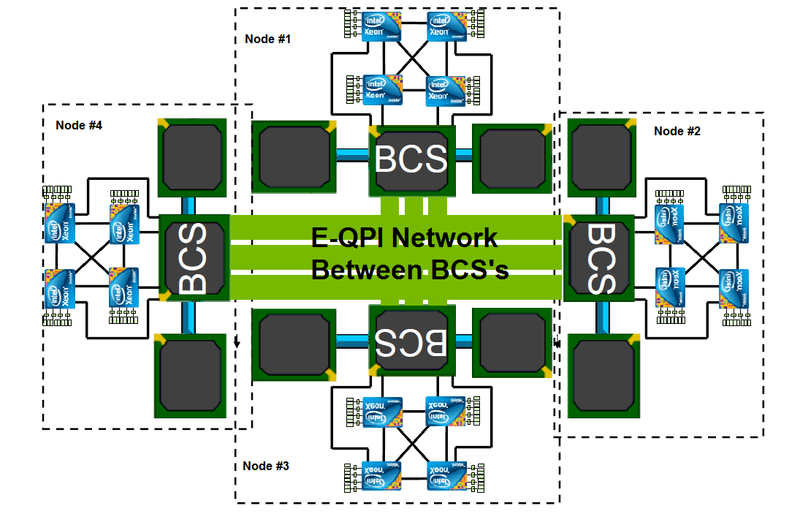 The BCS enables two key functionalities: CPU caching and the resilient eXternal Node-Controller fabric. These features server to reduce communication and coordination overhead and provide availability features consistent with Intel Xeon E7-4800 series processor. BCS meets the most demanding requirements of today’s business-critical and mission-critical applications. As shown in the above figure, a BCS chip sits on a SIB board that is plugged in the main board. When running in a single node mode, a DSIB (Dummy SIB) board is required. As shown in the above figure, BCS Architecture scales to 16 processors supporting up to 160 processor cores and up to 320 logical processors (Intel HT). Memory wise, BCS Architecture supports up to 256x DDR3 DIMM slots for a maximum of 4TB of memory using 16GB DIMMs. IO wise, there are up to 24 IO slots available. 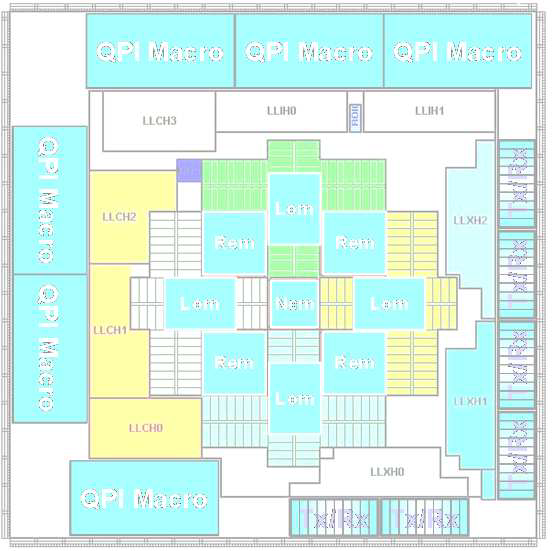 Each BCS module groups the processor sockets into a single “QPI island” of four directly connected CPU sockets. This direct connection provides the lowest latencies. Each node controller stores information about all data located in the processors caches. This key functionality is called “CPU caching“. This is just awesome! More on this key functionality in the second part. Stay tuned! 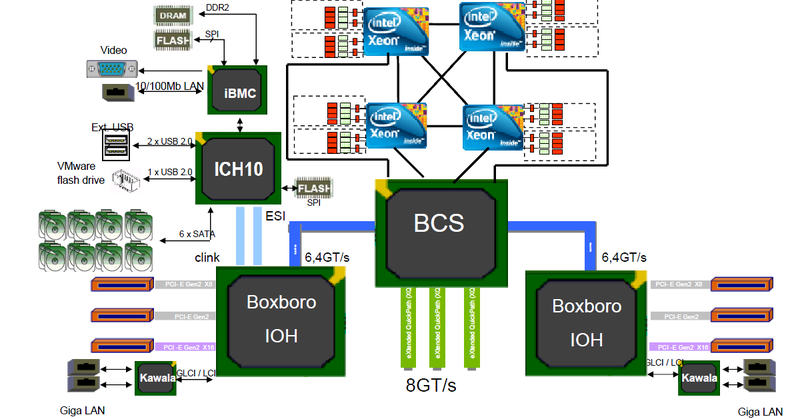 This entry was posted in Bull, ESXi, Intel, Performance, VMware, vSphere and tagged BCS, Bull, DIMM, Intel, Intel QuickPath Interconnect, Xeon. Bookmark the permalink.